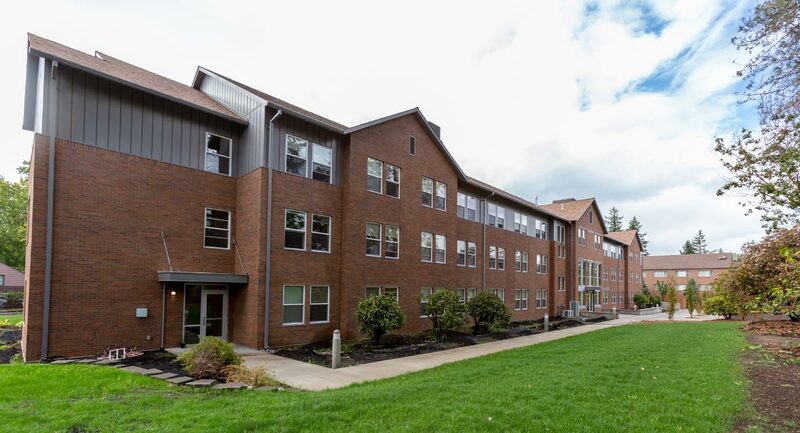 Located between East North and Fulton Street on the northeast section of campus, the three-story Brandt Residence Hall accommodates 149 beds. The wing of every floor houses between 22-26 students and has a study room. Each floor has a lobby space and laundry facility. Each floor has a lobby space and laundry facility.